At the Cheltenham Science Festival last week, Richard Dawkins asked the audience if encouraging childhood beliefs in fairies and fairy tales was a good thing. Might belief in these kinds of fantasies be ‘pernicious’, he wondered? Might belief in Father Christmas, the Easter Bunny or the Tooth Fairy actually encourage an undesirable gullibility, and act to undermine a child’s ability to think critically? His doubts as to the suitability of encouraging this type of fantastic imaginative development in children are not original. In fact, Dawkins’ scepticism recalls the dubious attitude towards fairy tales that pervaded throughout much of the nineteenth century. It wasn’t until the 1870s, when the likes of George MacDonald had begun to demonstrate the didactic potential of fairy tales, that commentators could claim with confidence that they need not defend the use of the fairy tale against public antagonism. It was, though, the Romantic period which laid the groundwork for this shift in opinion. 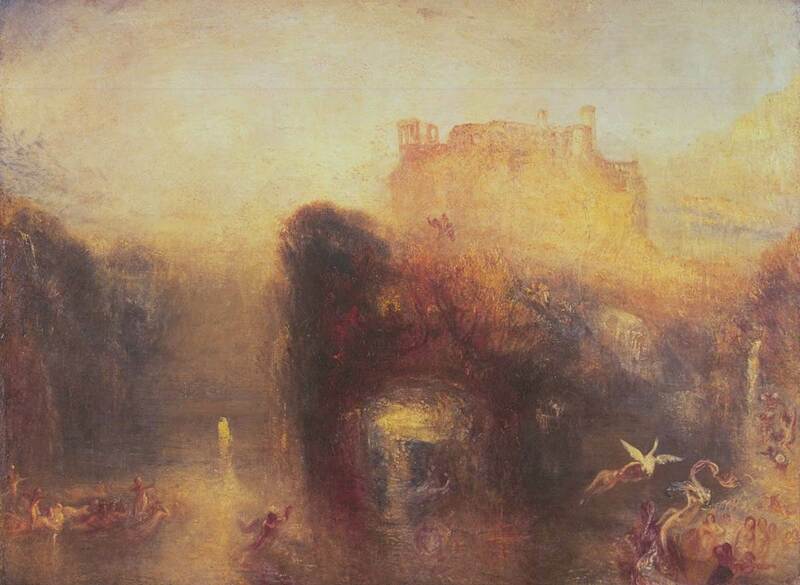 Pretty much all the ‘major’ Romantics wrote at least one fairy poem: think, for example, of Coleridge’s ‘Eolian Harp’, Shelley’s ‘Queen Mab’, Keats’s ‘Endymion’, Felicia Hemans’ ‘Fairy Favours’ or Letitia Elizabeth Landon’s ‘The Fairy of the Fountains’. Gerald Manley Hopkins is often cited for his identification of Keats in particular as being a poet who belonged in ‘fairyland’ (1887-8). Coleridge, Wordsworth, Southey and Lamb all openly admitted to finding in fairy tales inspiration for their intellectual development, a bold statement in an era that was only just beginning to recognise the importance of a child’s imaginative growth. The ‘revival’ of fairies as imaginative and political metaphors was a return to traditional, specifically English, myth, but the Romantics modified the figure of the fairy to suit their unique creative ends. As Nicola Bown has shown, fairies underwent a dramatic transformation in the late eighteenth and early nineteenth centuries (see Fairies in Nineteenth-Century Art and Literature, Cambridge University Press, 2001). They had never really gone away – their departure didn’t occur until the dramatic expansion of industrialised areas in the mid-Victorian period – but between the 1790s and the 1830s they were re-imagined so as to reflect contemporary social and cultural concerns. Fairies were local beings; often neighbouring villages had different fairy stories. Fairies were frequently imagined to inhabit the local area, and the creatures described differed dramatically from the Cornish spriggans to insect-sized elves. For most of the country, these traditions settled on beings of about three feet tall, although places like Warwickshire imagined microscopic creatures who slept in flower-heads. The term ‘fairies’, then, could actually be loosely applied to a wide variety of mythical beings, not only the flower-fairy figures we might think of now; Edmund Spenser, for example, uses the term ‘faery’ to refer to a huge number of creatures, including giants. Unsurprisingly, Shakespeare’s A Midsummer Night’s Dream (c.1595) marked a turning point in representations of fairies; the play highlighted fairies’ mischievous nature. It was this play, too, which put the diminutive fairy onto the national stage, and into England’s literature: more specifically, A Midsummer Night’s Dream worked alongside Spenser’s The Faerie Queene (1590-96) to inaugurate a fairy tradition in English poetry. In the eighteenth century, the revival of interest in the fairy was assisted by the rejuvenation of interest in Shakespeare. 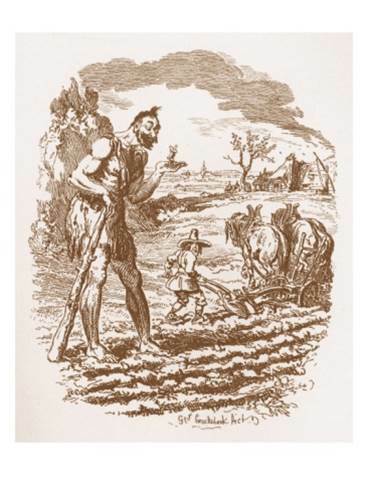 Simultaneously, a heightening of anxiety over the loss of traditional stories and storytelling methods led to an increased concern for the preservation of folk tales, a worry encapsulated most famously in the Grimm brothers’ collection of Household Tales in 1812. Waft on the breeze, or sink in clouds of gold. Their fluid bodies half-dissolved in light. These heliotropic creatures were to become familiar towards the end of the eighteenth and into the nineteenth centuries. Repetition of the word ‘airy’ from A Midsummer Night’s Dream indicates something of the debt to Shakespeare under which this tradition was already labouring, but these ‘denizens of air’ crucially altered notions of the popular English fairy. The nightmarish vision of ‘transparent’ creatures with insect wings, dissolving in the wind and the light, was to become the standard way of picturing fairies. Thomas Gray’s ‘Ode to Spring’ (1742), in which ‘the insect-youth are on the wing’, anticipates the blurred distinction between insect-like fairies and anthropomorphised insects which quickly came to dominate representations of fairies. look like cherubs, but with one key difference: they have butterfly wings. After 1798, fairies became increasingly associated with the insect world. They shrank in size from the traditional three feet to something much more microscopic. 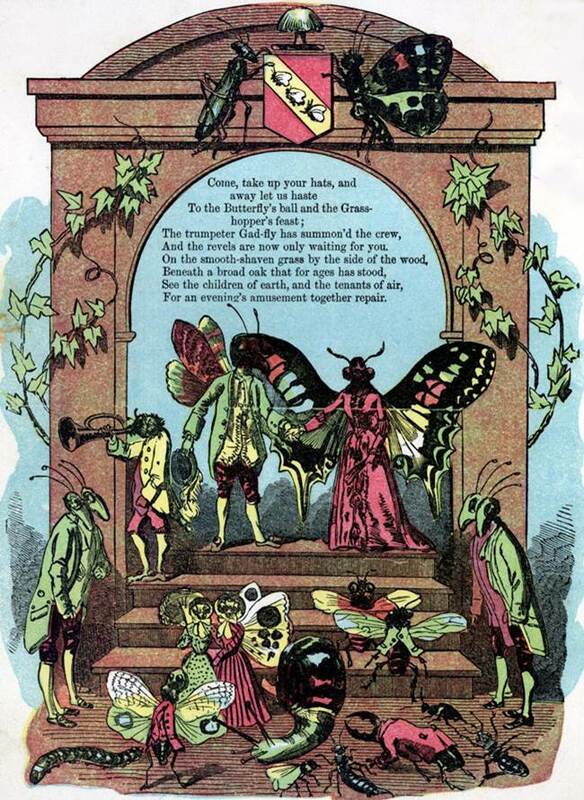 The anthropomorphisation of insects in texts like William Roscoe’s Butterfly Ball (1809) met the tradition coming the other way; as insects were imagined in human guise, fairies were imagined as insect forms. The insect world, as Darwin suggested fifty years later, was a magical, misunderstood place just beyond the bounds of natural human perception (Origin of the Species, 1859). 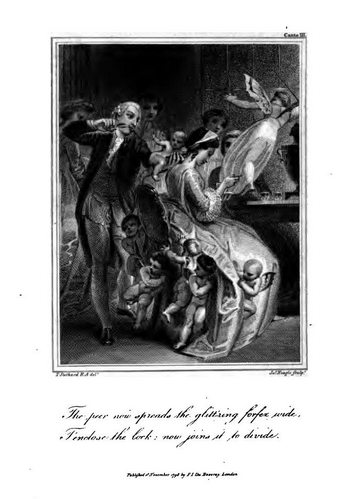 The two traditions combined in Sara Coleridge’s fairy tale Phantasmion (1837); that this novel was published just two months after Darwin started the notebooks that would become Origin of the Species indicates the wide-reaching, and fast-growing, interest in natural history generally and insect life particularly throughout the 1820s and 30s. In Phantasmion, the primary fairy, Potentilla, is possessed of the ability to bestow insect attributes on the hero. She equips the young prince Phantasmion with, amongst other powers, butterfly wings, an ant’s armour and a cicada’s drum. These modifications culminate in a ‘monstrous’ transformation into a giant digging insect. The story indicates the potential dehumanising effects of wishing to be supernatural, but also suggests the ways in which the ‘powers’ of the tiniest creatures of the natural world might inspire effective ways of gaining the upper hand in human social and political negotiations. Insect attributes remained a firm part of the fairy tradition for the remainder of the Victorian period and into the twentieth century. For Arthur Conan Doyle, this kind of Romantic flower fairy seemed so convincing that he publicly lent his voice to the (somewhat small) group who firmly believed that Elsie Wright and Frances Griffiths had captured something supernatural with their photographs of the Cottingley Fairies. Walt Disney may perhaps be credited with maintaining the tradition throughout the twentieth century. Fairies are an important part of Disney’s empire; Tinkerbell, for instance, is one of Disney’s most surprising commercially-successful characters. In Sleeping Beauty (1959), Flora, Fauna and Merryweather are guardian fairies in the tradition of Phantasmion, whilst Peter Pan’s (1953) companion Tinkerbell is an incarnation of Pope’s and Stothard’s ‘denizons of air’. Disney’s Tinkerbell (in 1953 and her reprisals in straight-to-DVD films throughout the 2000s and 2010s) is a Romantic fairy; unlike J. M. Barrie’s original, she is not threatened with extinction from unbelief. That fairies exist is taken for granted in the Disney world; like the Romantics, in Disney believing is seeing. Jo Taylor is in the third year of her PhD at Keele University. Her thesis explores the construction of writing spaces, imaginative and material, in the Coleridge family’s poetry between 1818 and 1898. She is the Editorial Assistant for The Byron Journal and the BAVS Postgraduate Representative for 2013-15. She can be found on Twitter at @JoTayl0r0.